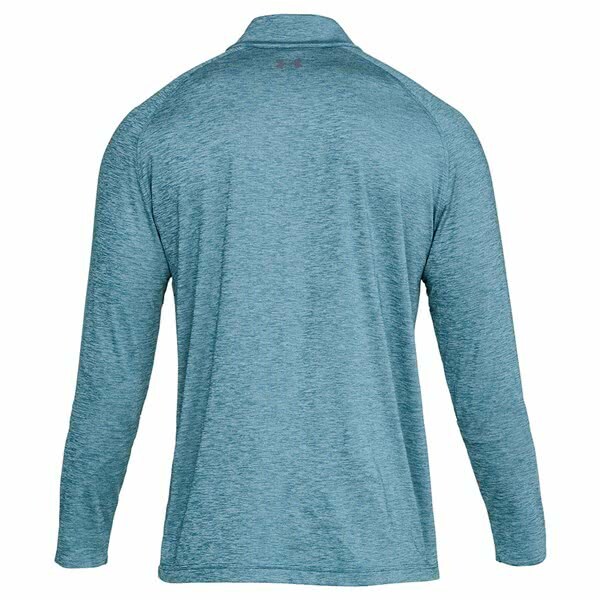 There is nothing not to like about this top, accurate fit and really stylish and light. 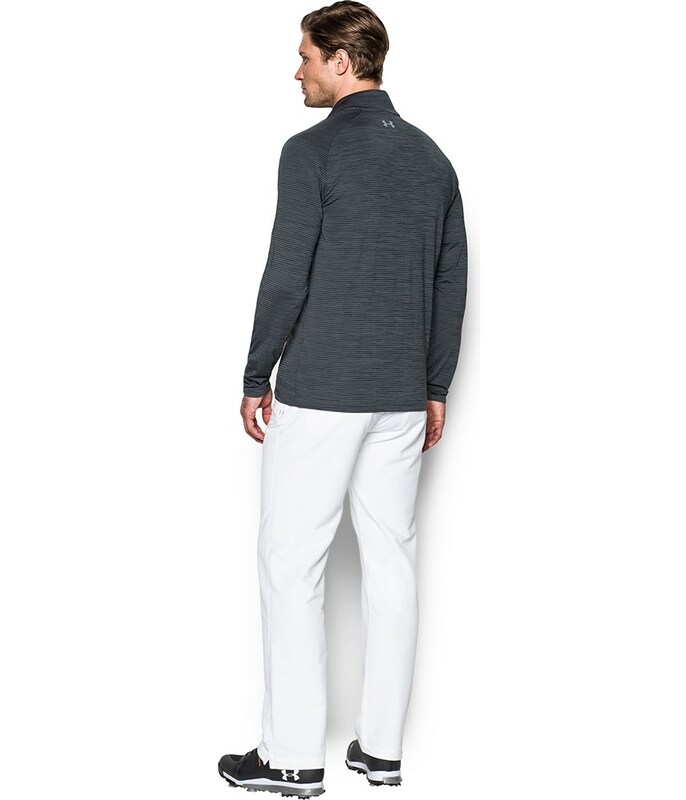 A great addition to the summer golf wardrobe. 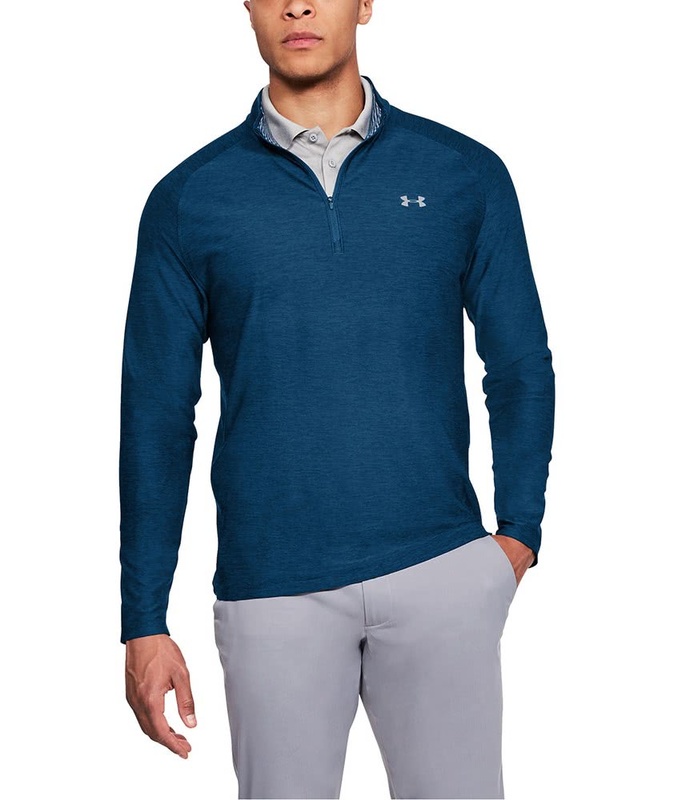 Perfect for Golf... And everything else! Let’s get the only niggle out of the way straight off the bat, it is a little big on the sizing BUT it doesn’t swamp you if you go for the usual under armour sizing. 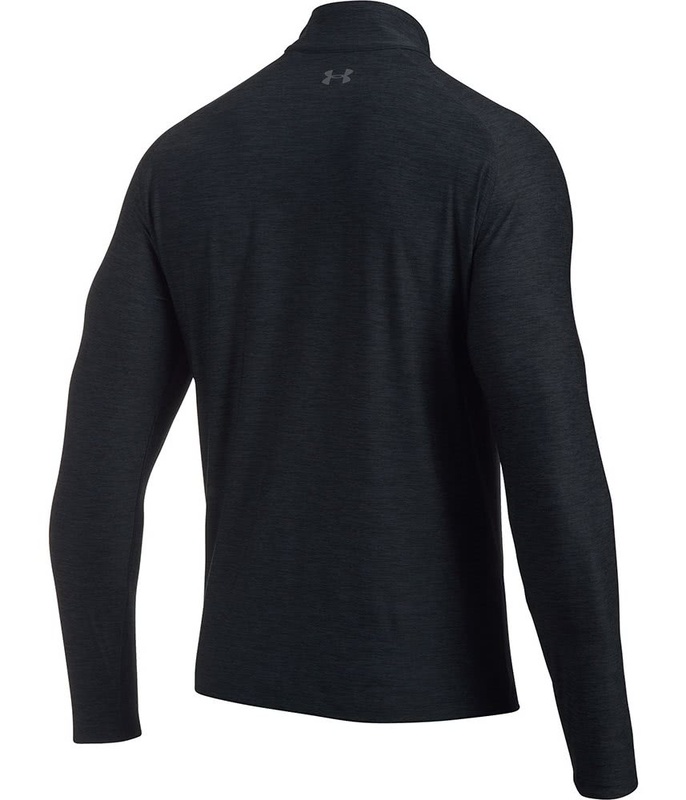 The good thing though is that it has little rubber inserts on the inside of the sleeve cuff that prevent it from falling over your hands even if it is big. 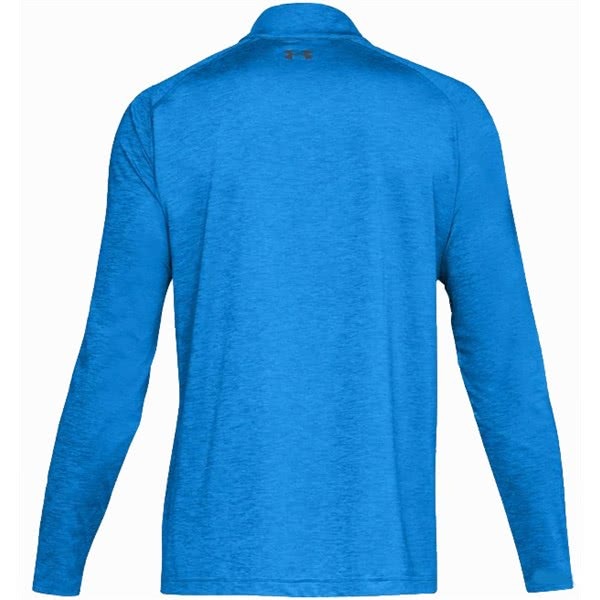 Now for all the positives: it’s light, breathable, soft and very unrestrictive. 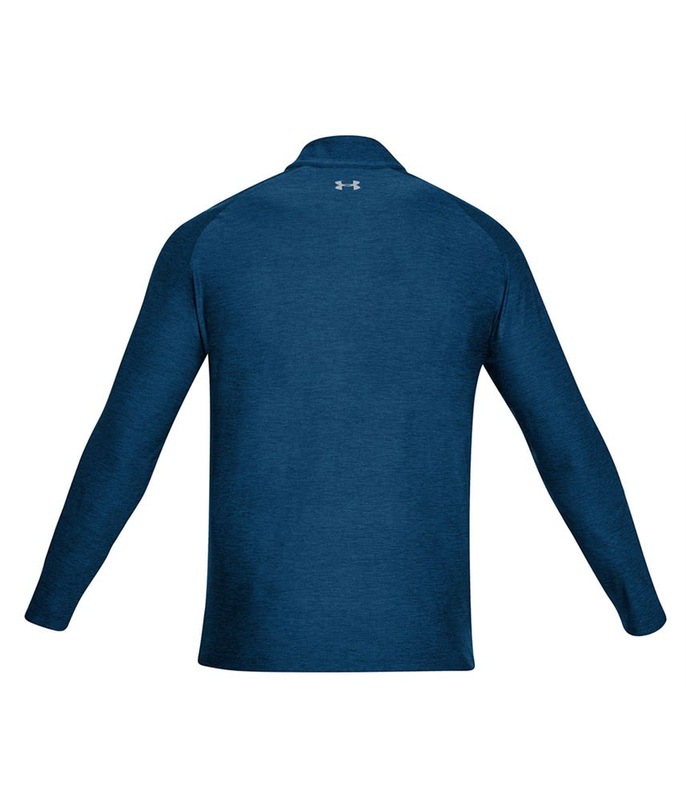 I use it on the course but also for day-to-day activities as it works for a nice casual top as well as the intention of being used as activewear. 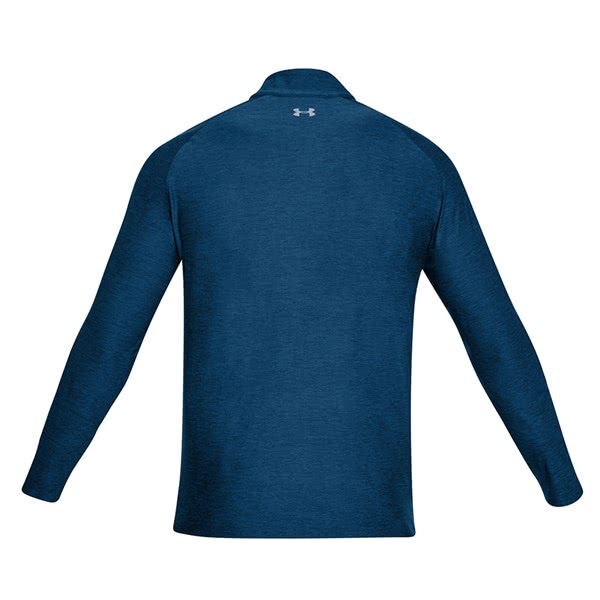 In its construction, it is rather thin which keeps you cool while moving around however it proves very handy on its own or accompanied with a jacket for the winter months to keep adequately warm. 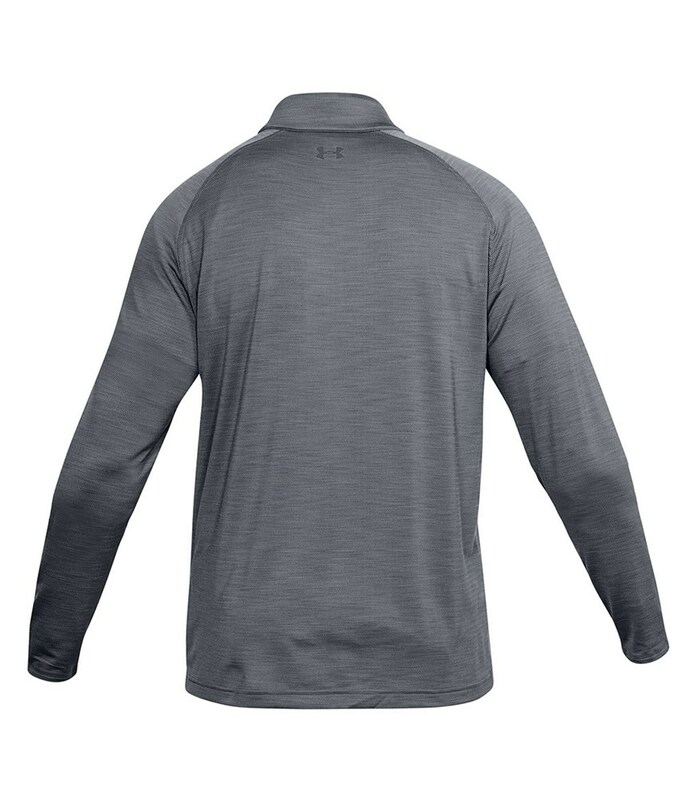 Furthermore, it’s almost like a second, yet very light, skin for a mid-layer shirt. 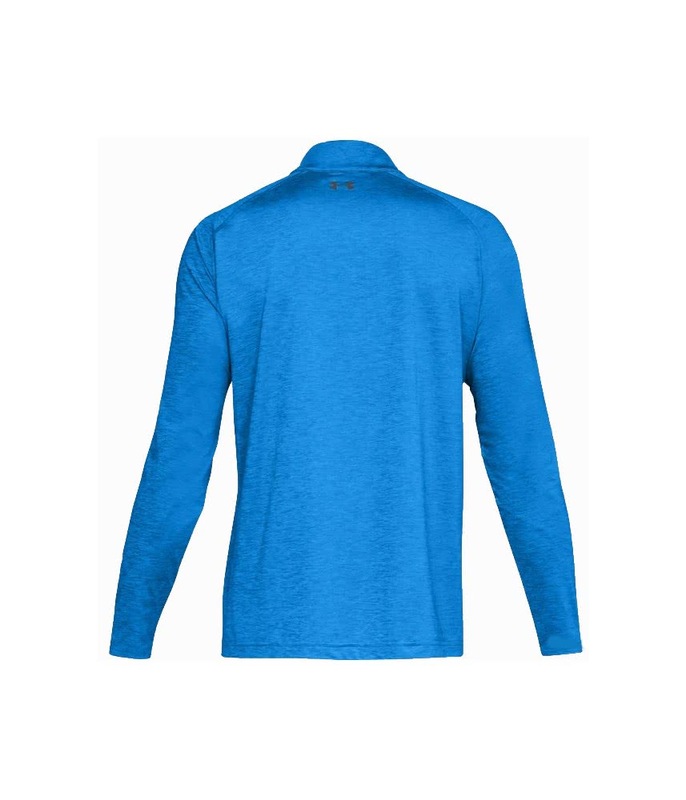 On value for money, it’s not pricey and there are so many options for colour to suit your style preferences. 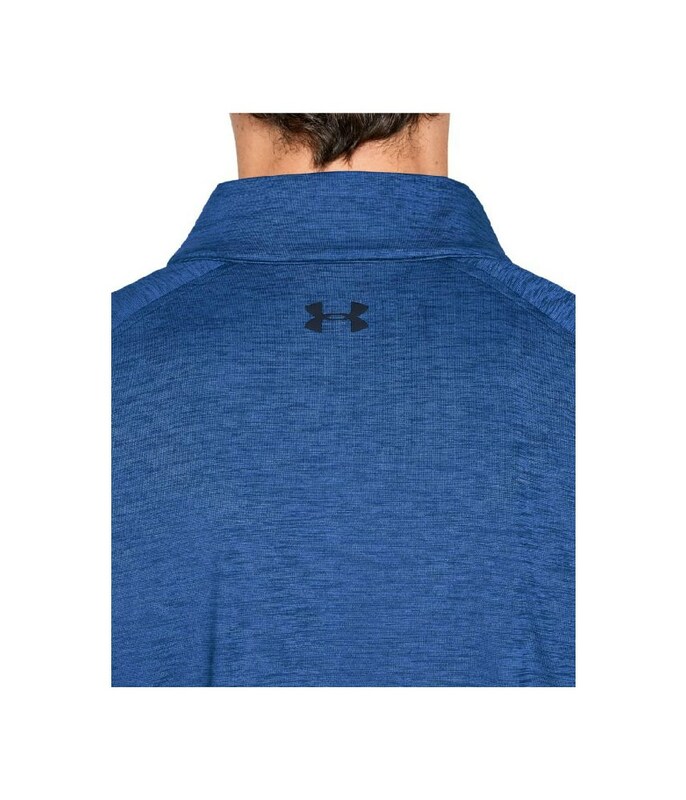 From the bold, to the conservative and everyone in between. 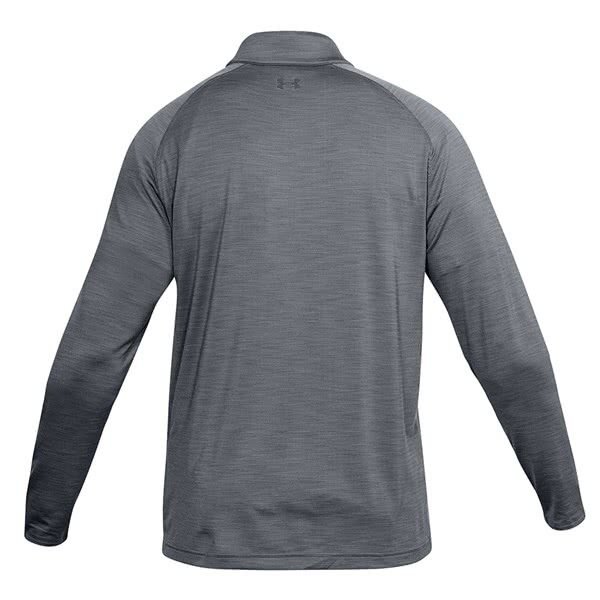 Couple this along with the fact it is as well made as everything else out there, it is bound to be a long lasting item fit for anyone’s locker Personally, I really choose both of mine (charged cherry & light grey) as a go-to for basically anything. 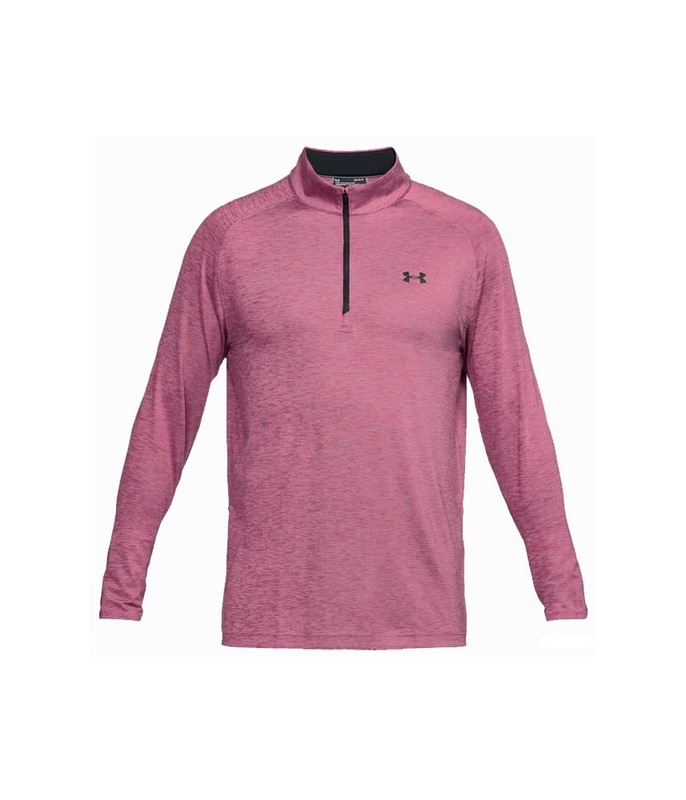 I would certainly suggest getting one for yourself or if your stuck on a gift for a golfer without breaking the bank that you know they will use. 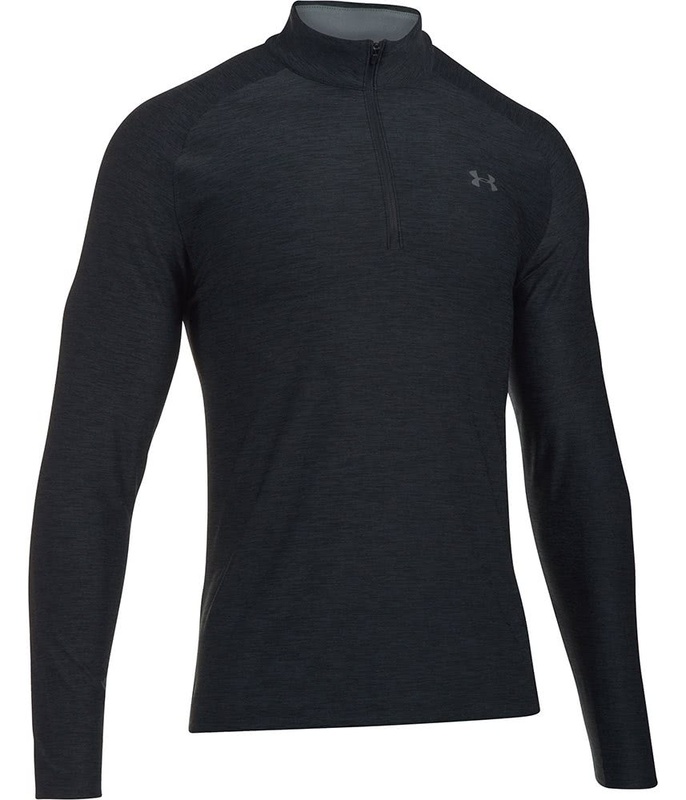 Thumbs up from me! 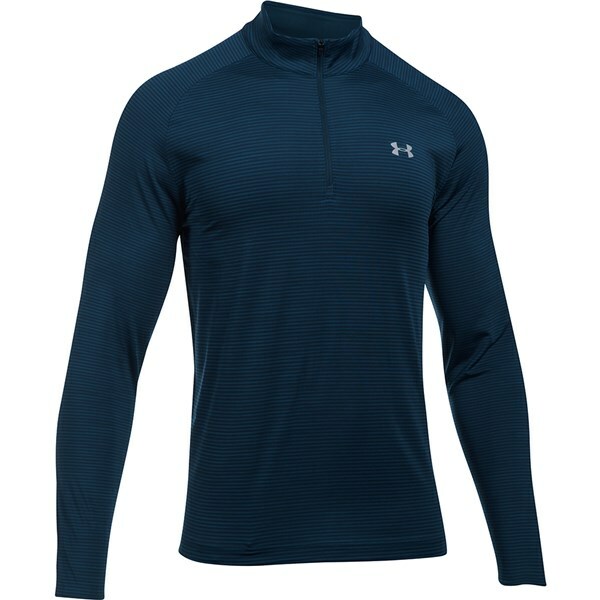 Excellent lightweight top to keep you warm on those cooler spring and autumn days or for layering up during the winter. 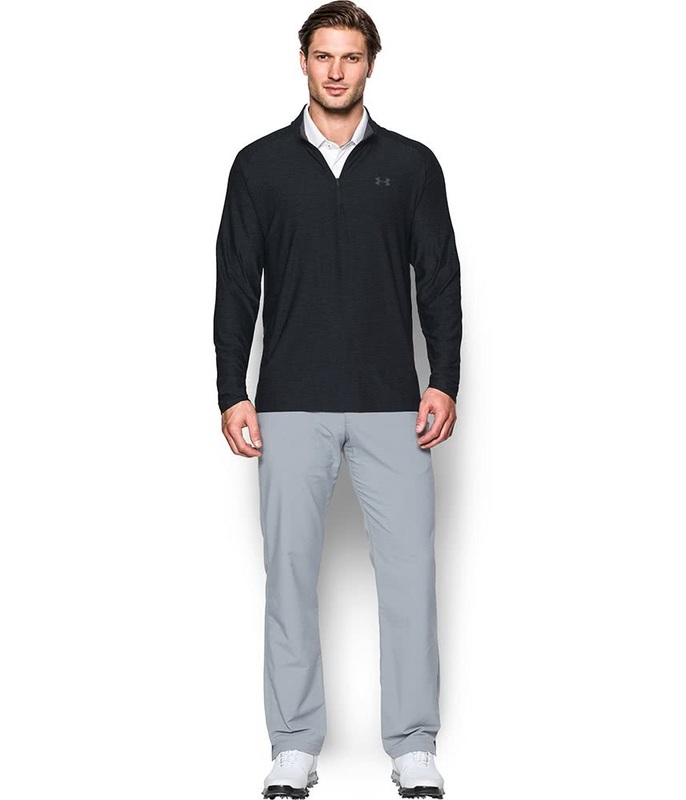 Great fit - not especially loose but you have enough room to swing freely and layer up. 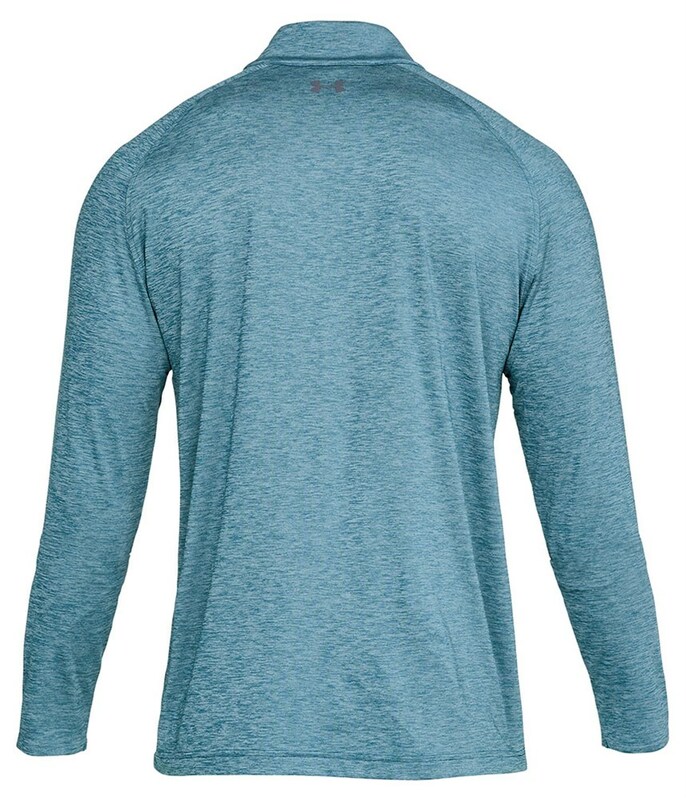 This is another lovely top from UA. 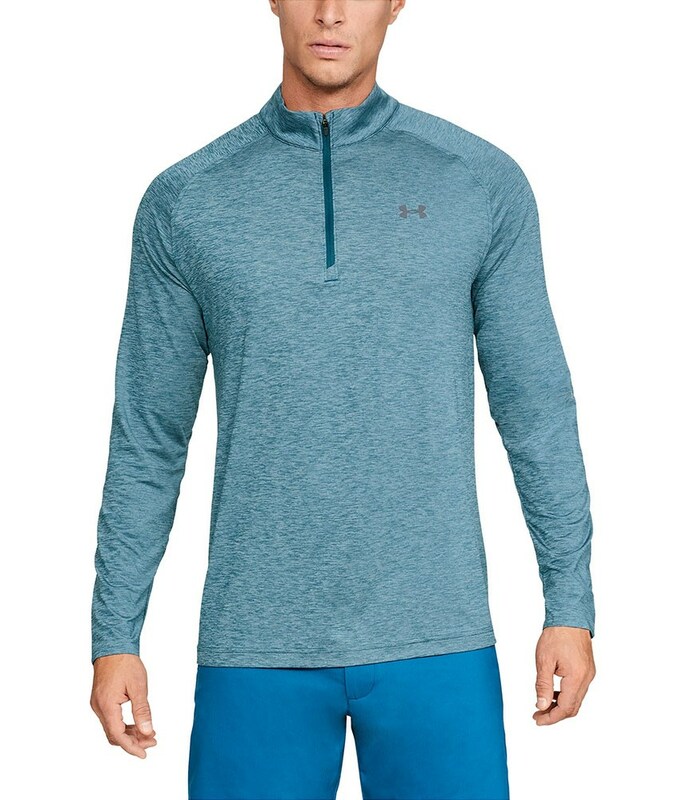 It is a good fit, I am a 40" chest and the medium fits well. As ever with UA, this is a good quality top and the colour range is nice and bright. 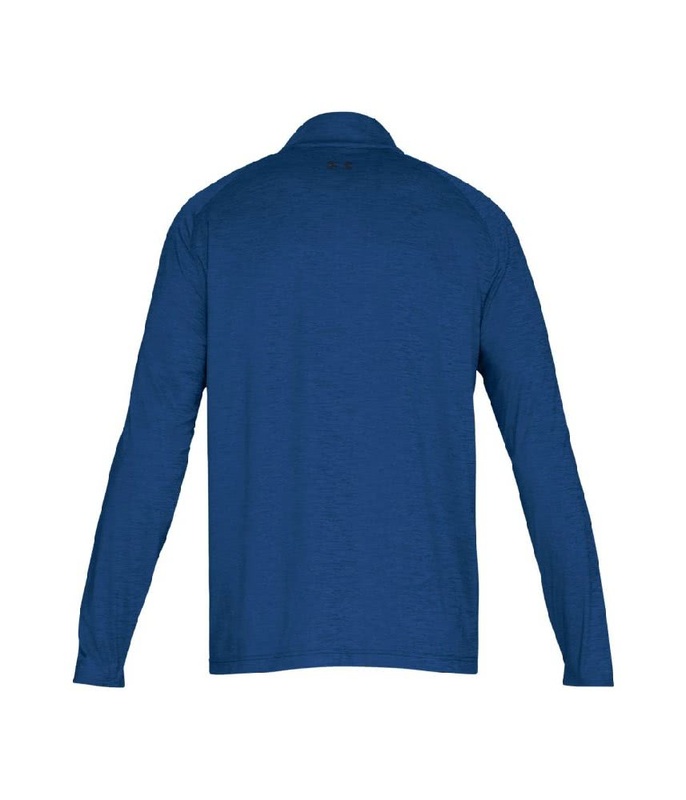 In terms of warmth, this is much more of a Spring & Summer top as it's a lightweight item. 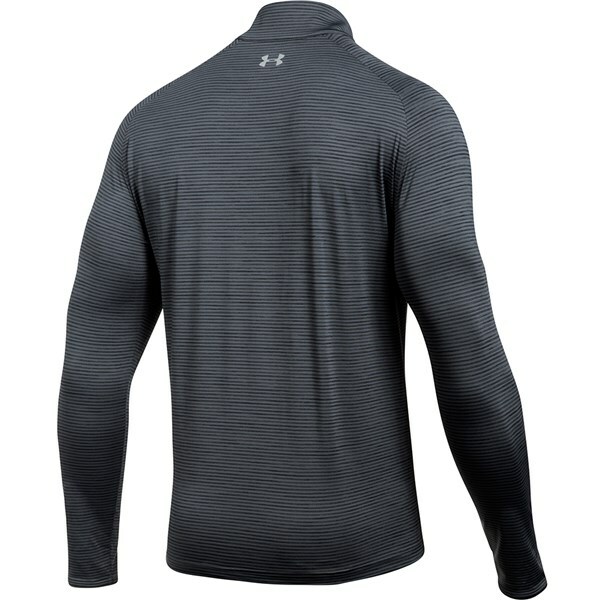 Overall, another good UA product. 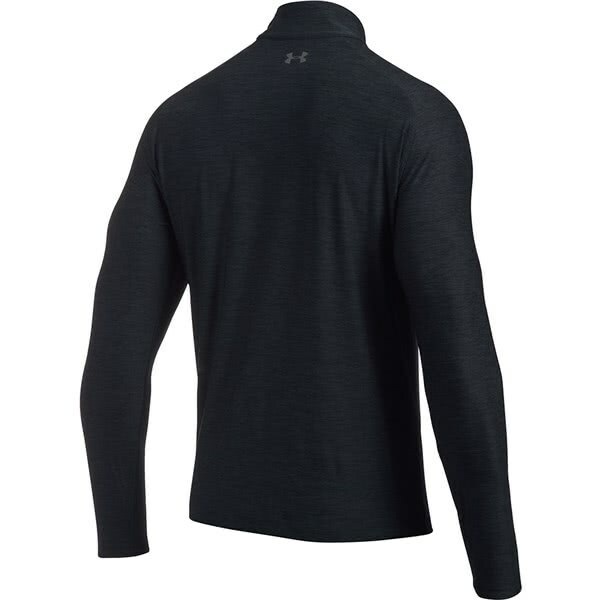 The Under Armour Playoff Quarter Zip Top has been created to deliver comfort, warmth and performance. 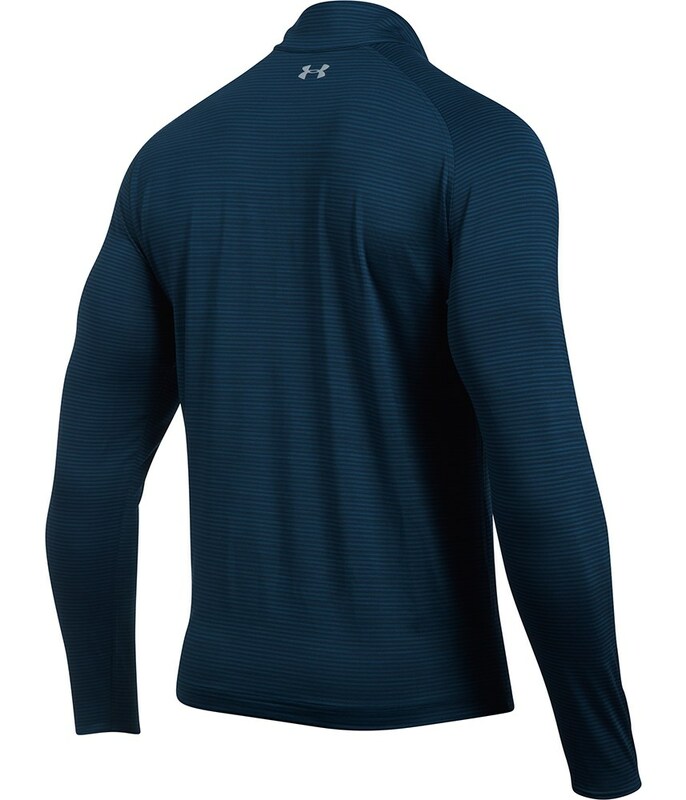 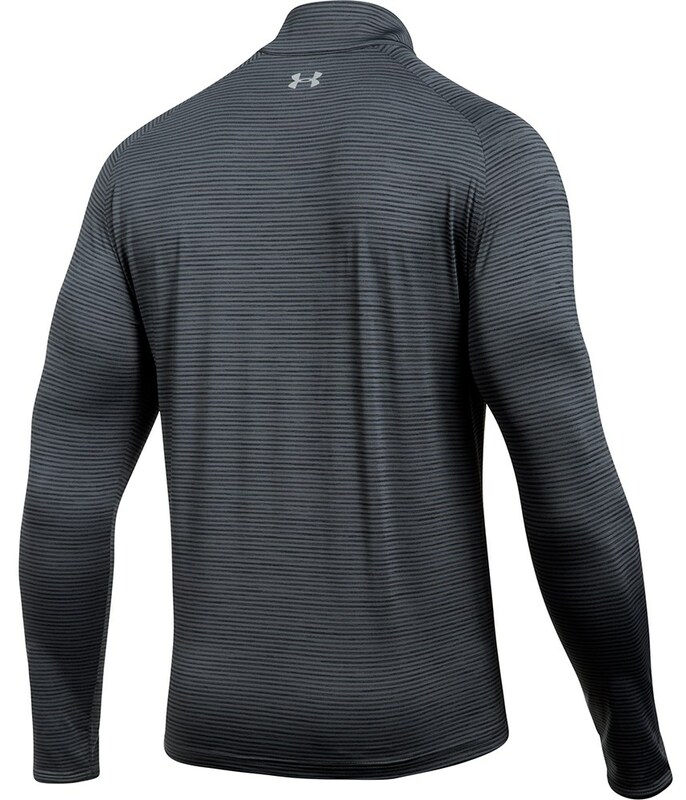 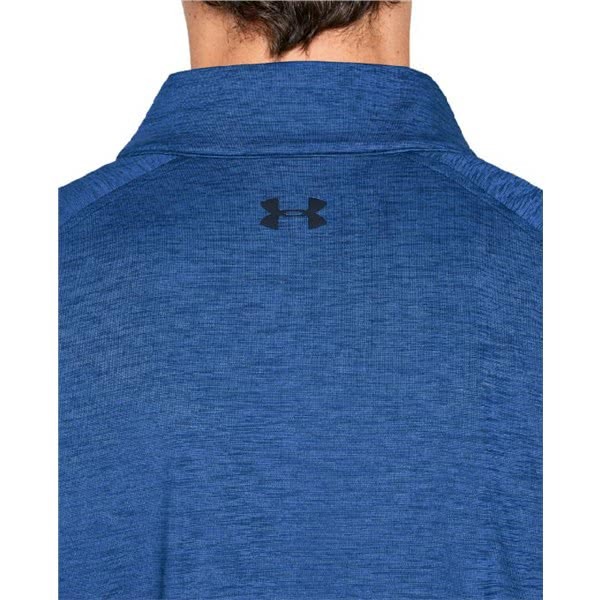 Under Armour have used a stretch fabrication to ensure that when an extra layer is needed this top does not affect your ability to swing freely. 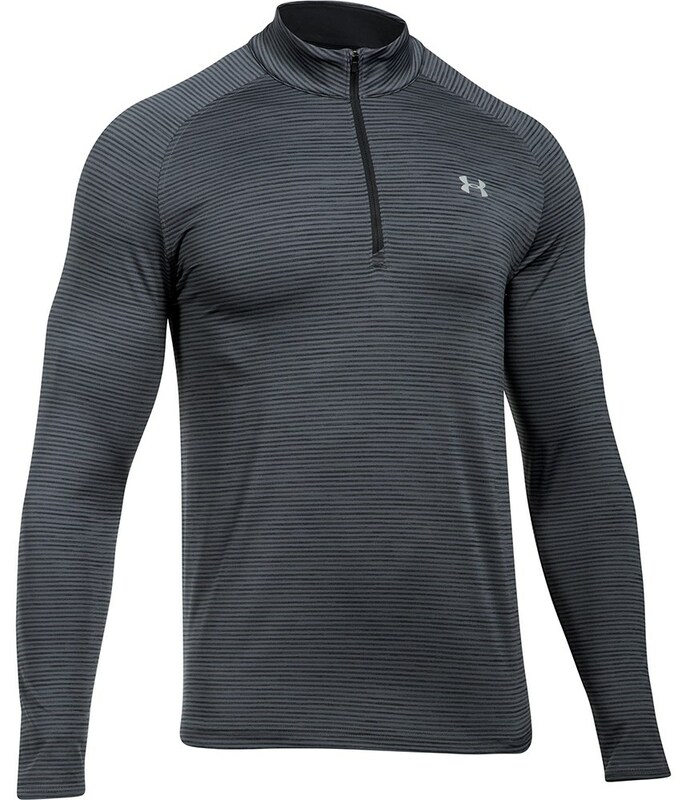 To give you the kind of performance needed in ever changing conditions the top features UA’s Moisture Transport System to ensure any sweat buildup is quickly wicked away leaving your core temperature constant. 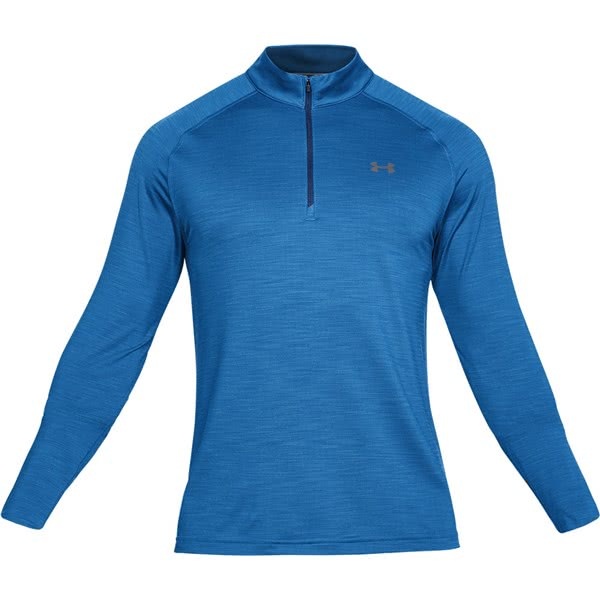 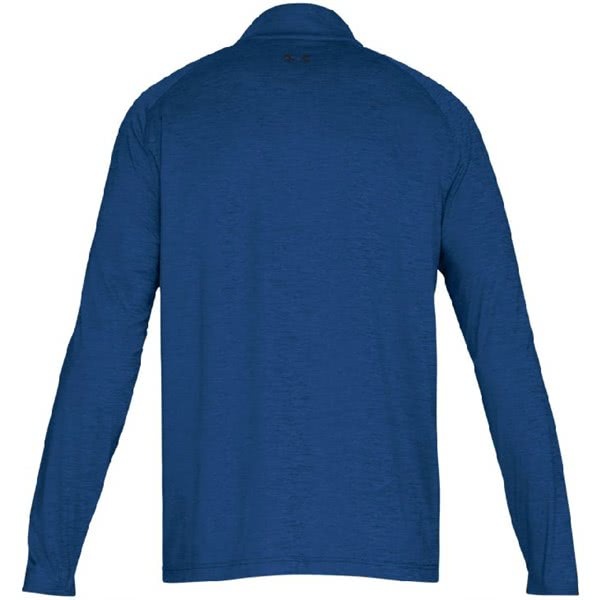 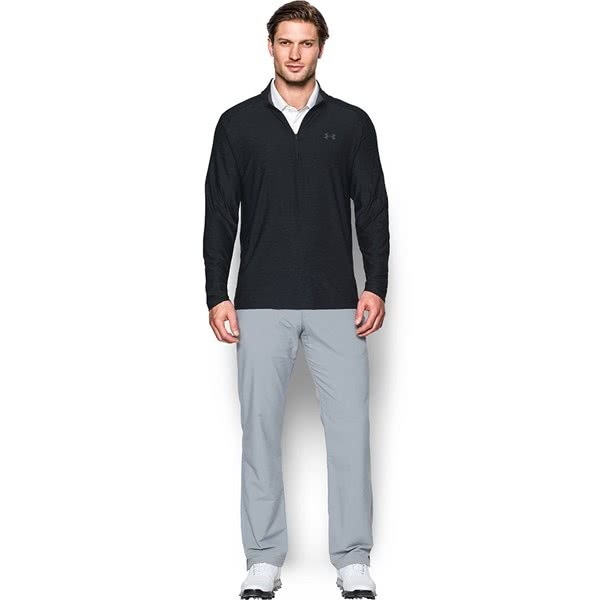 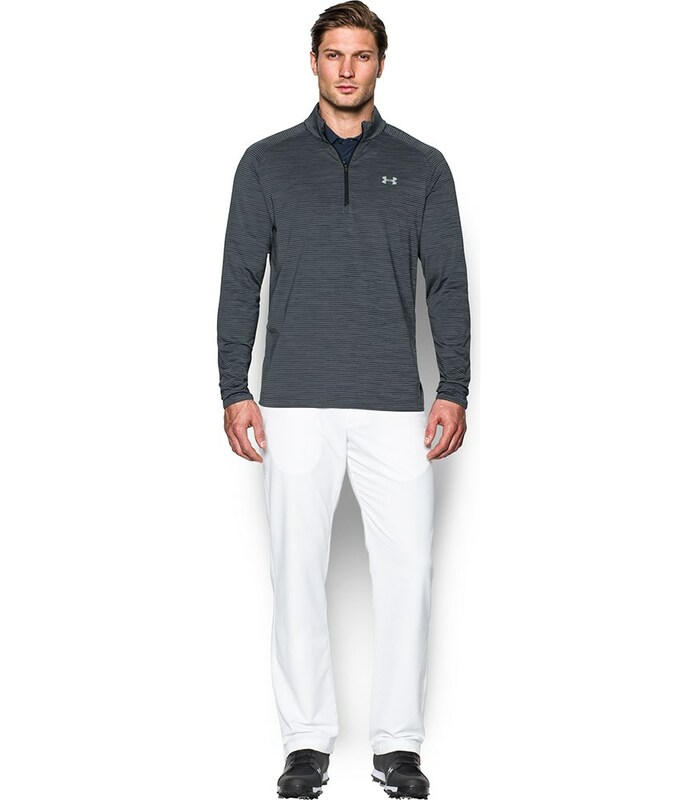 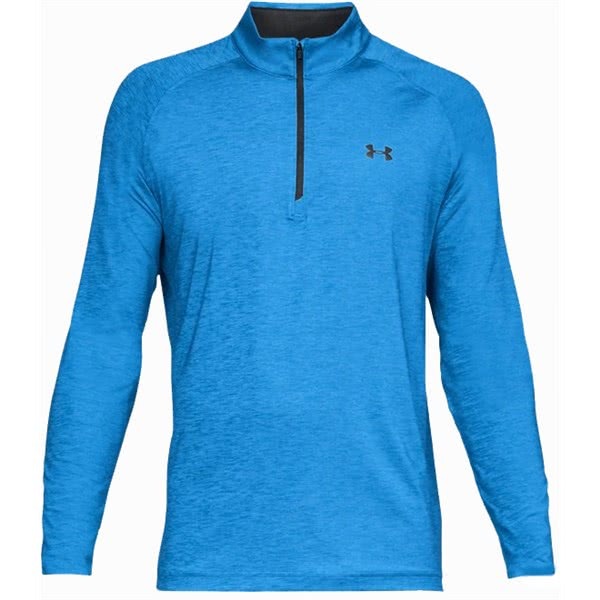 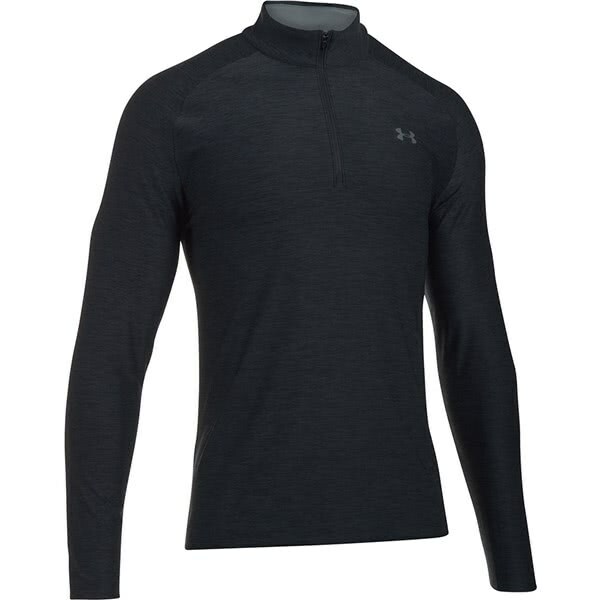 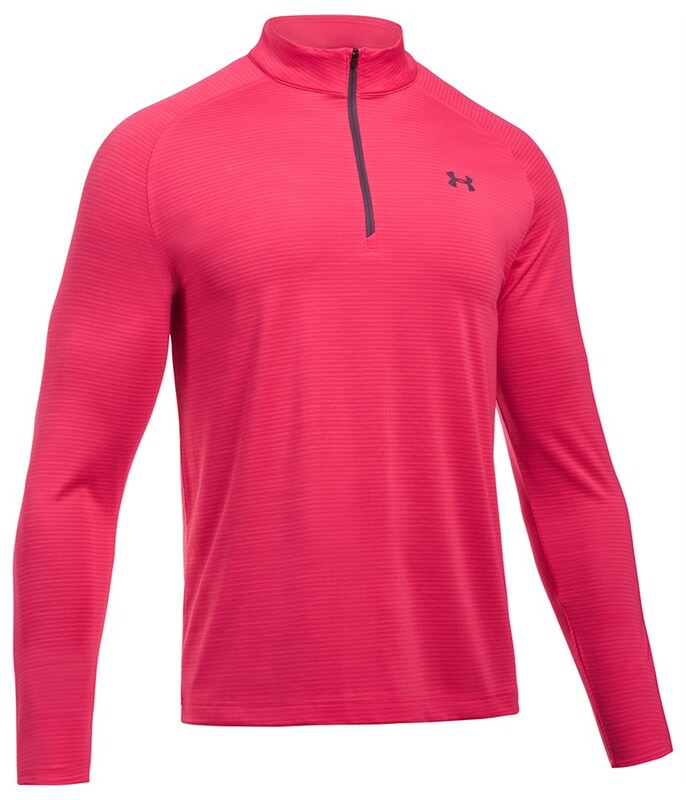 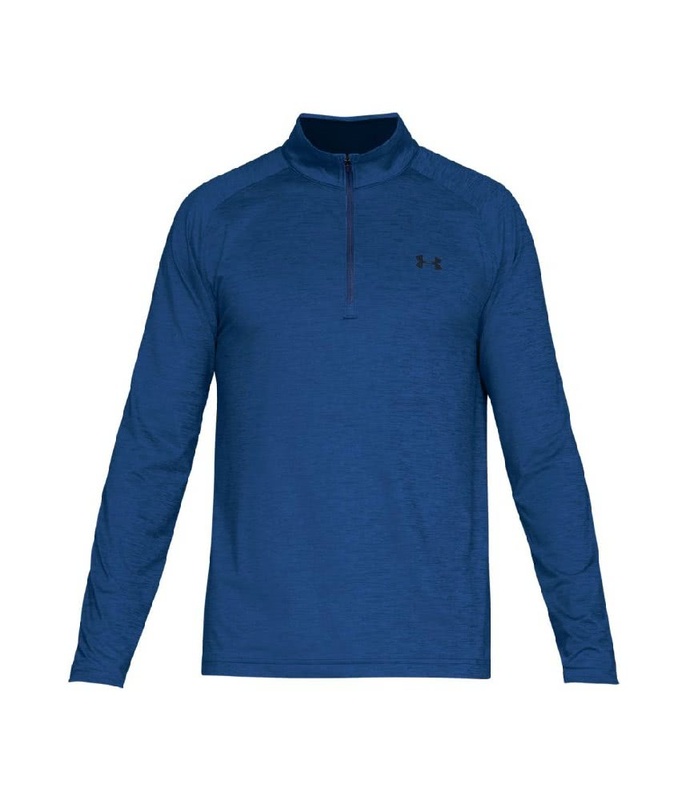 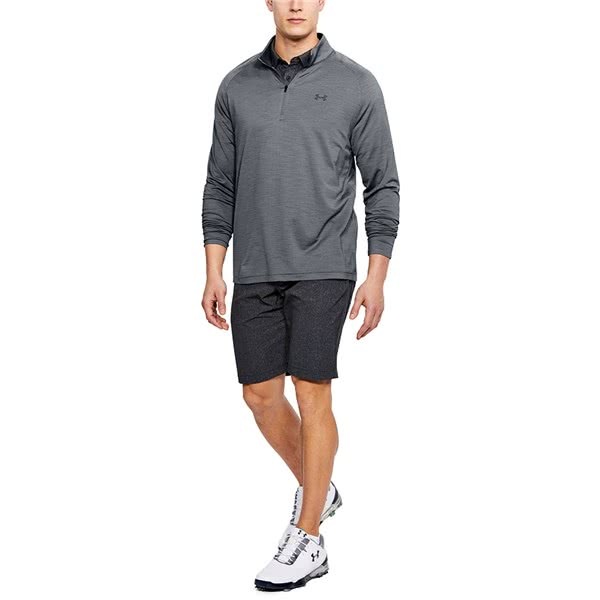 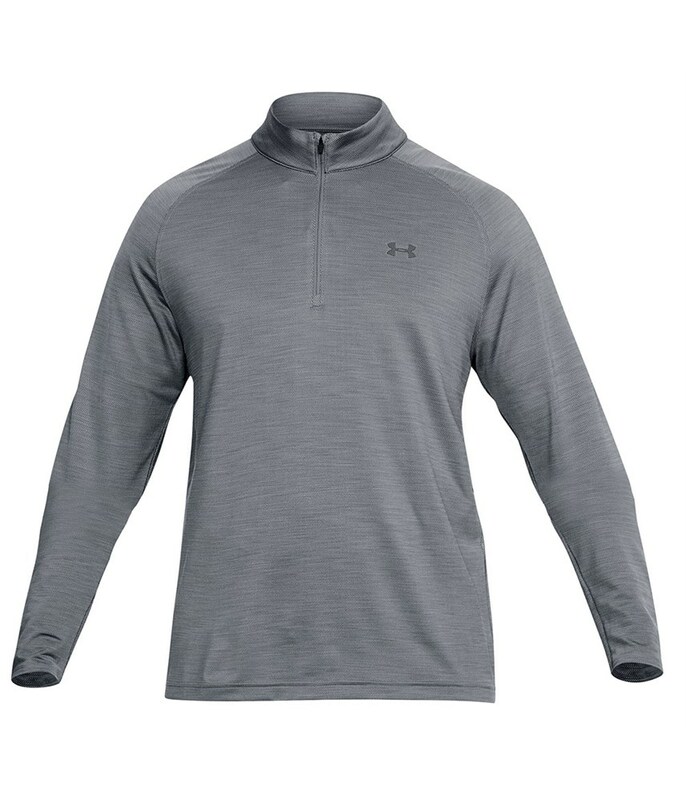 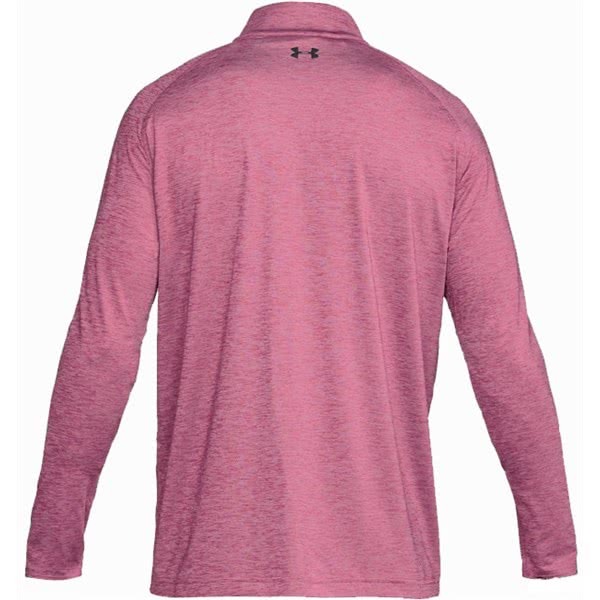 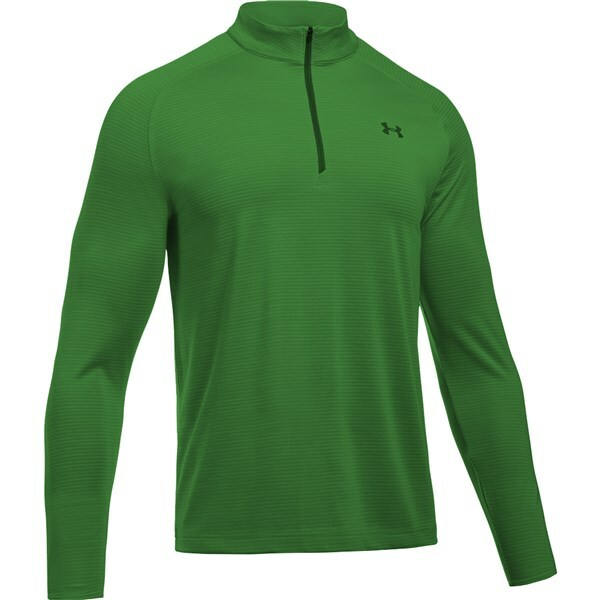 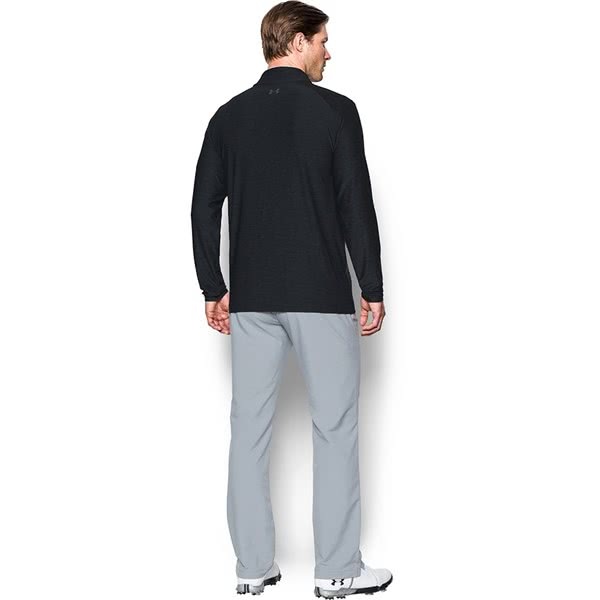 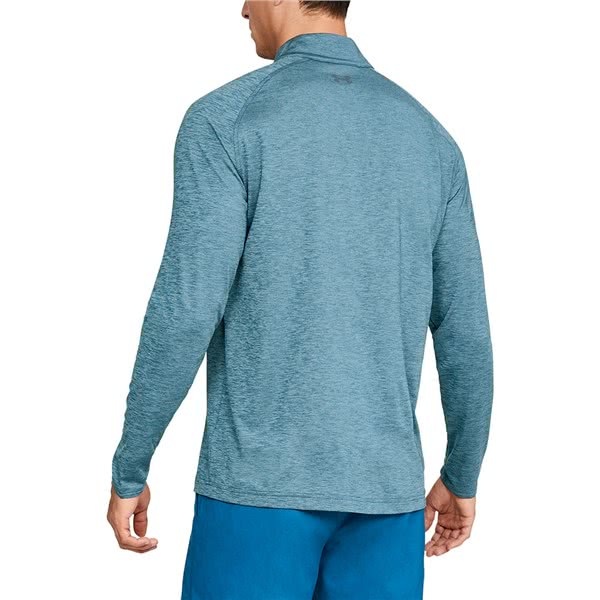 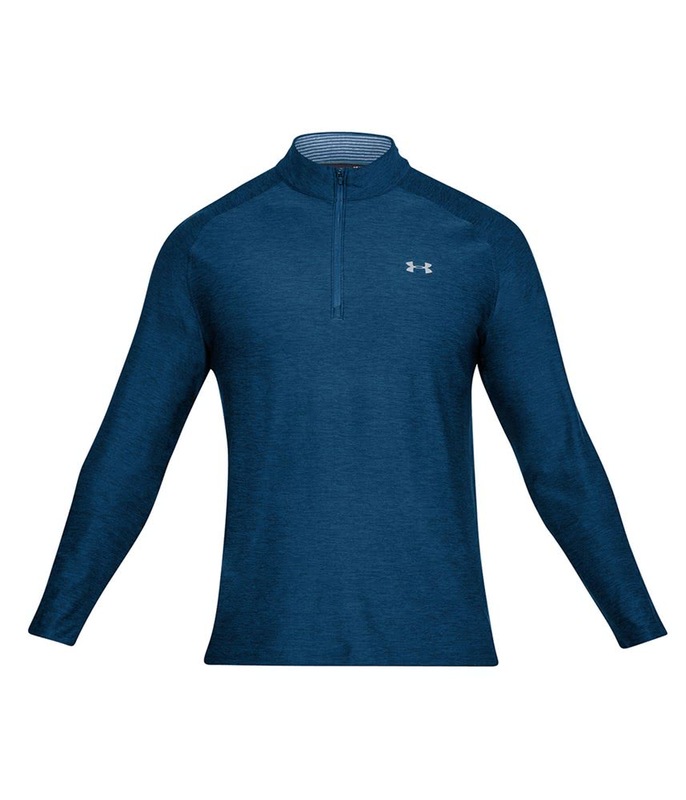 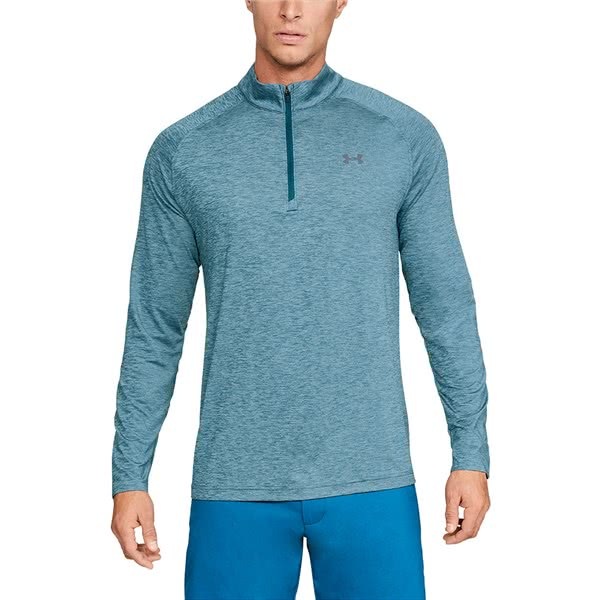 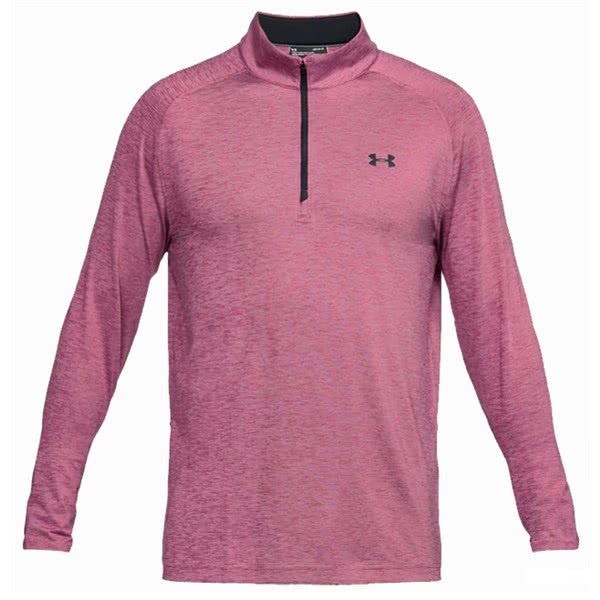 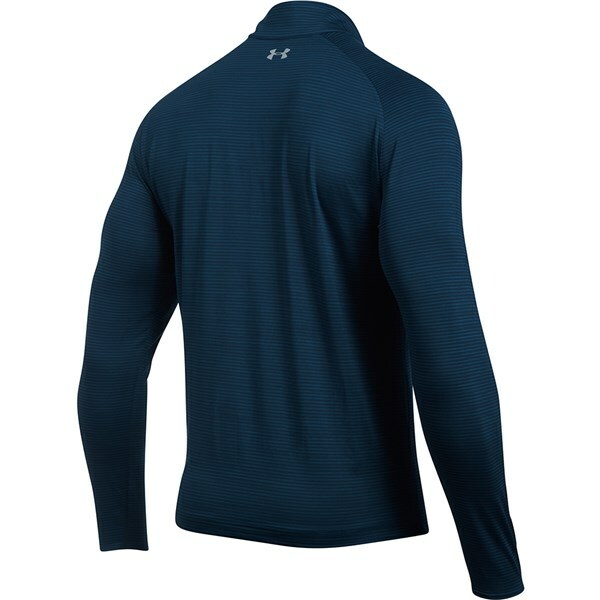 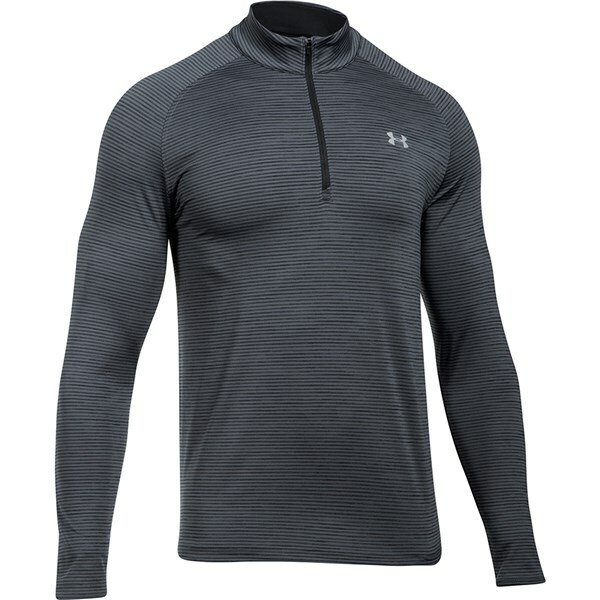 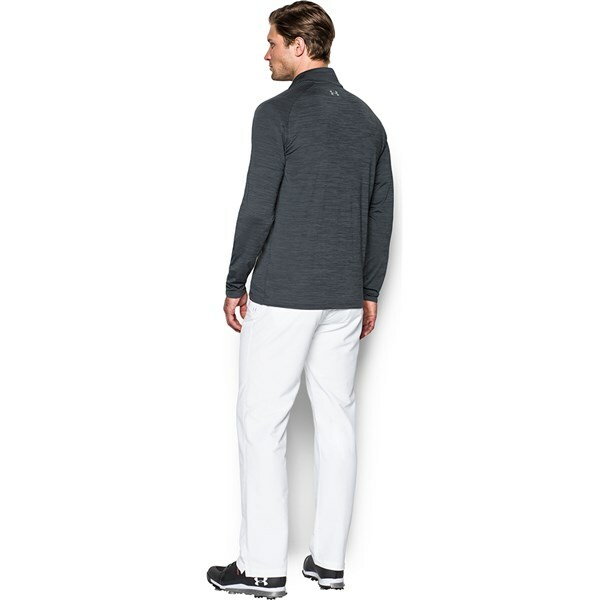 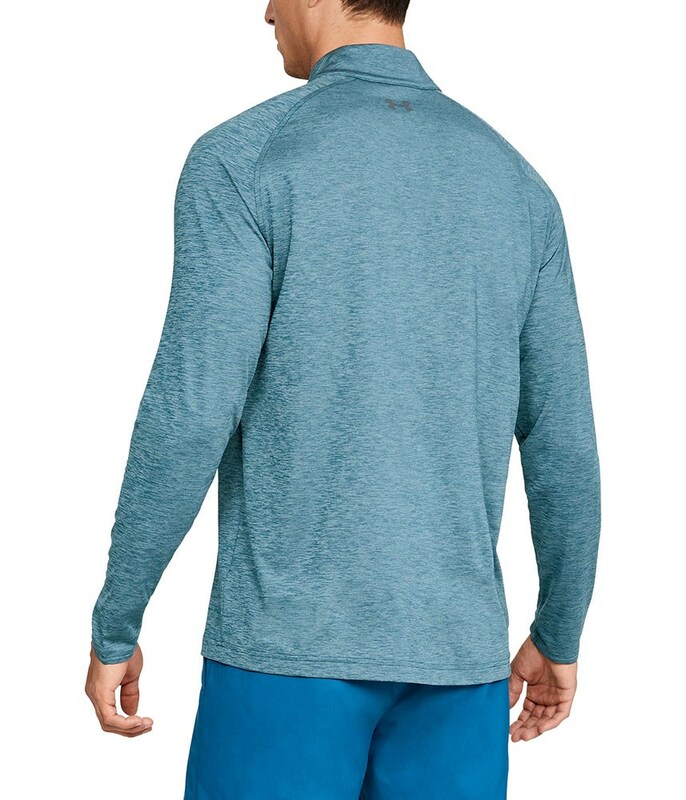 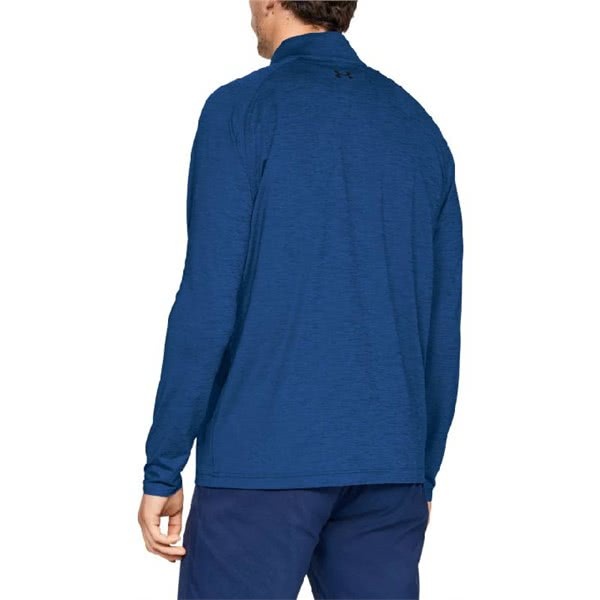 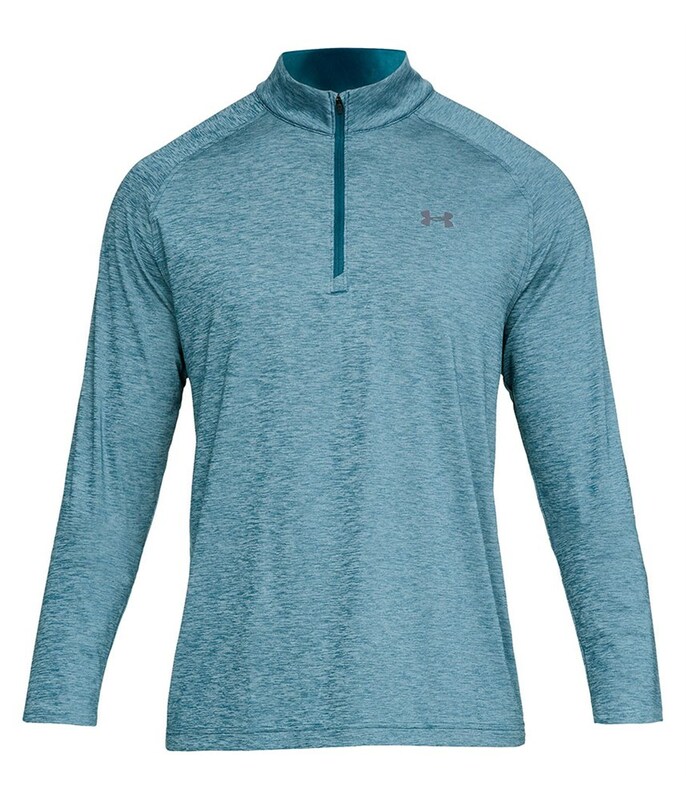 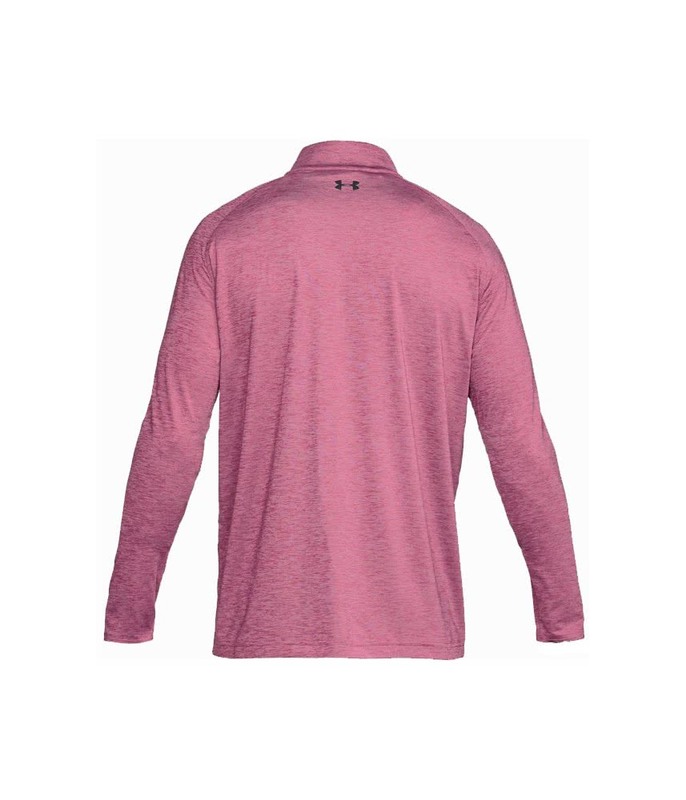 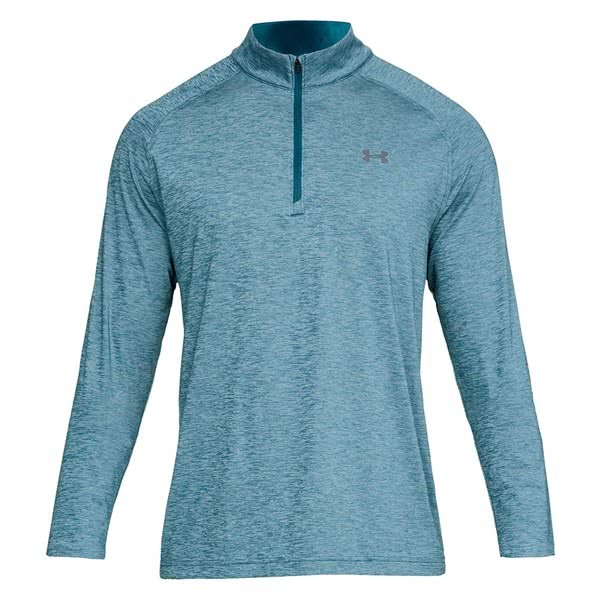 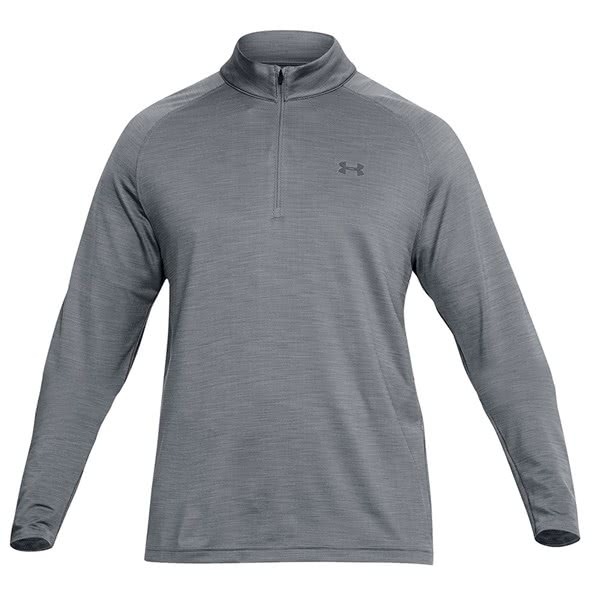 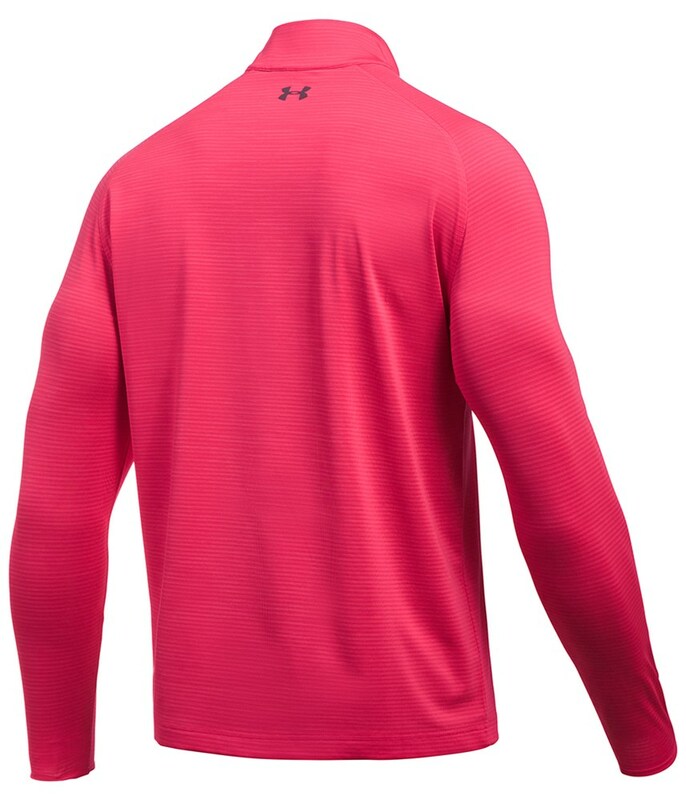 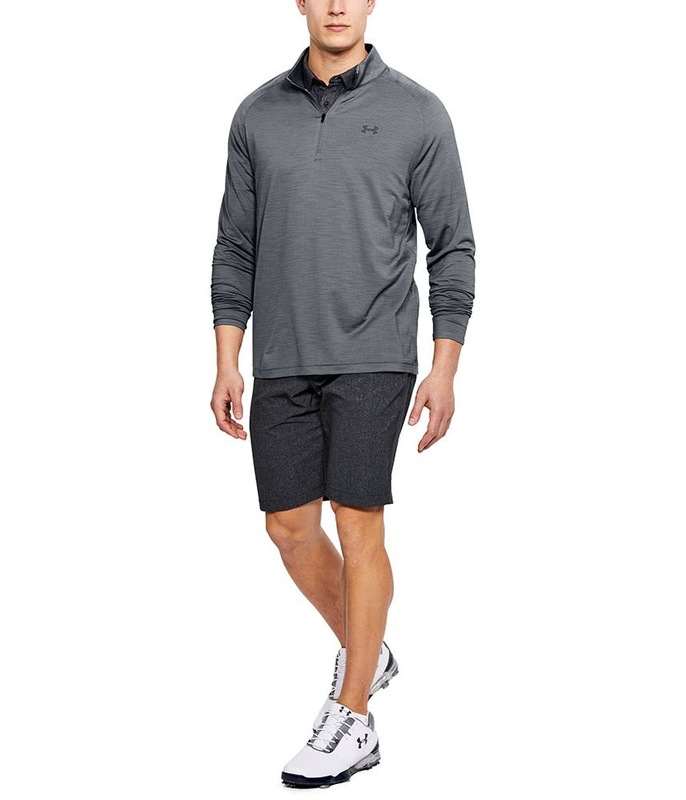 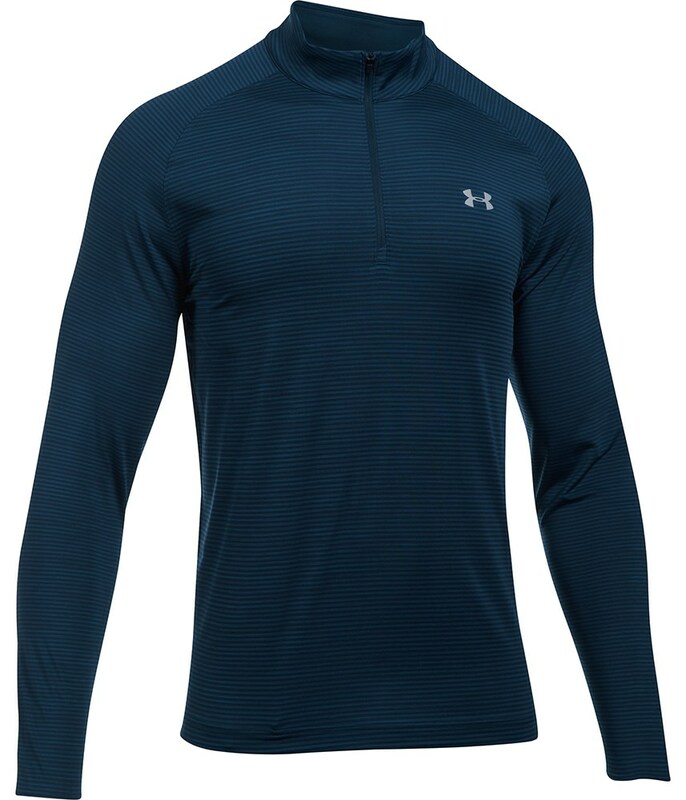 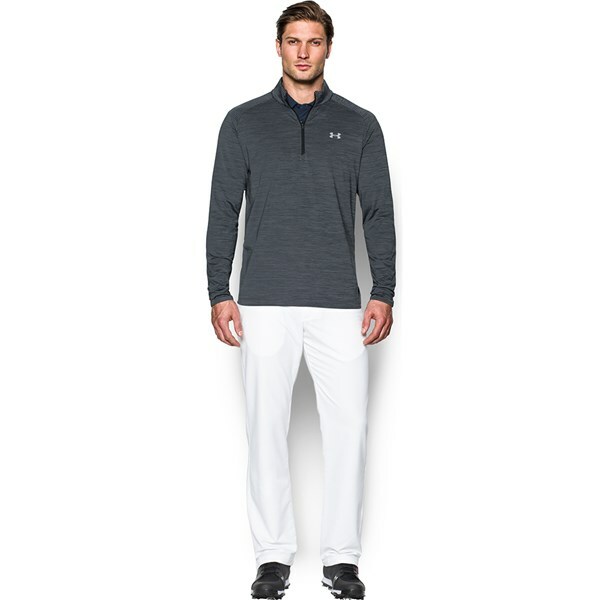 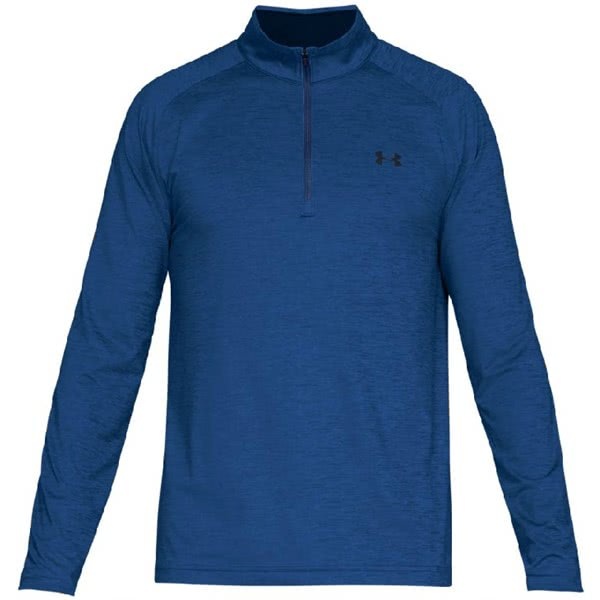 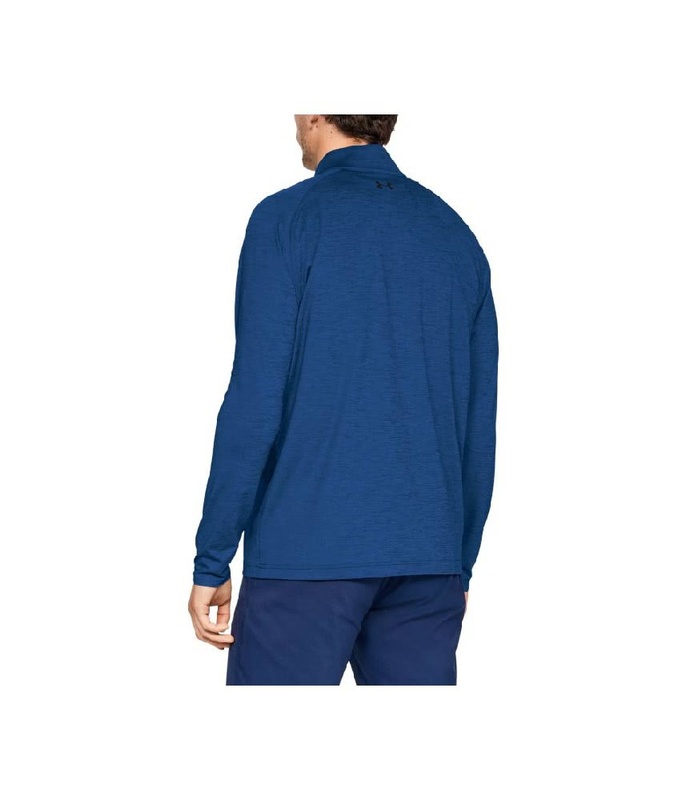 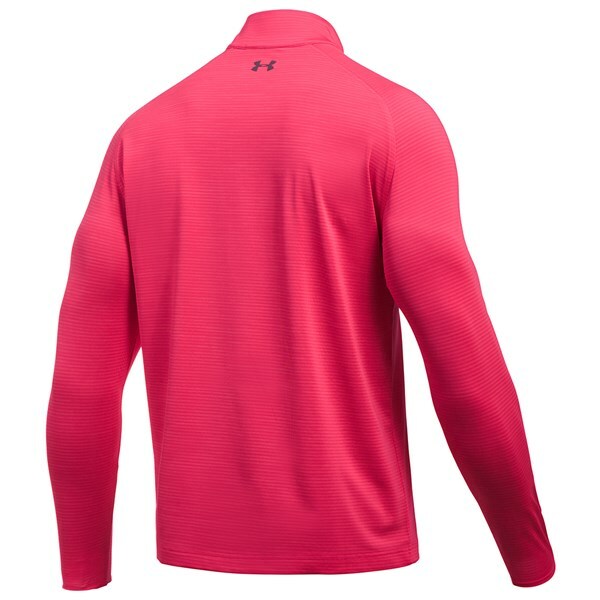 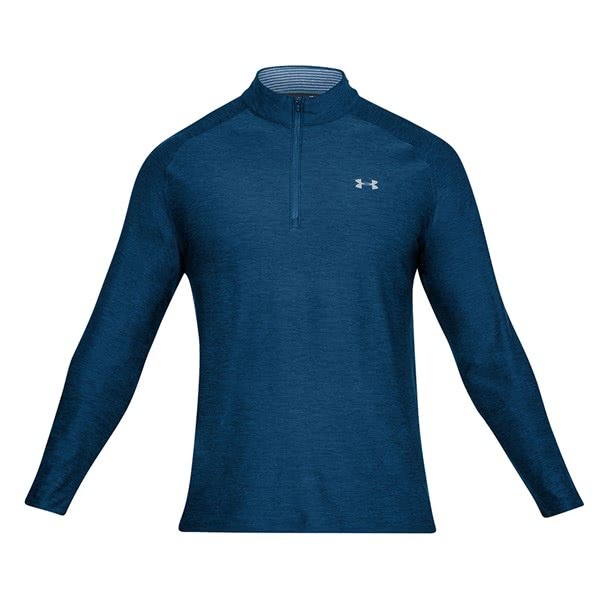 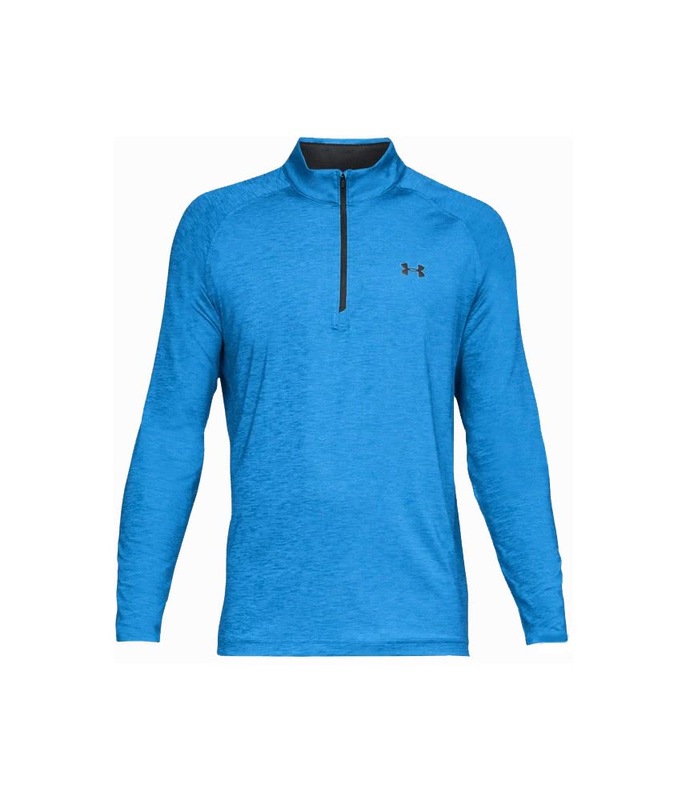 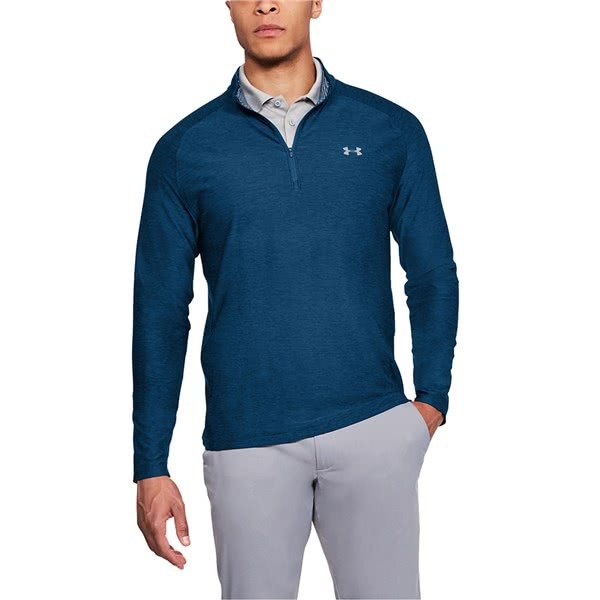 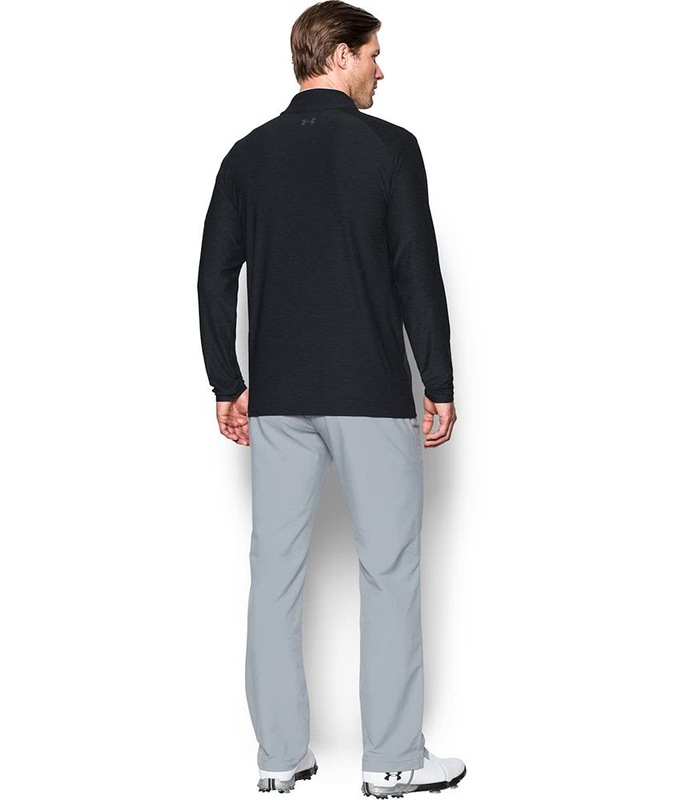 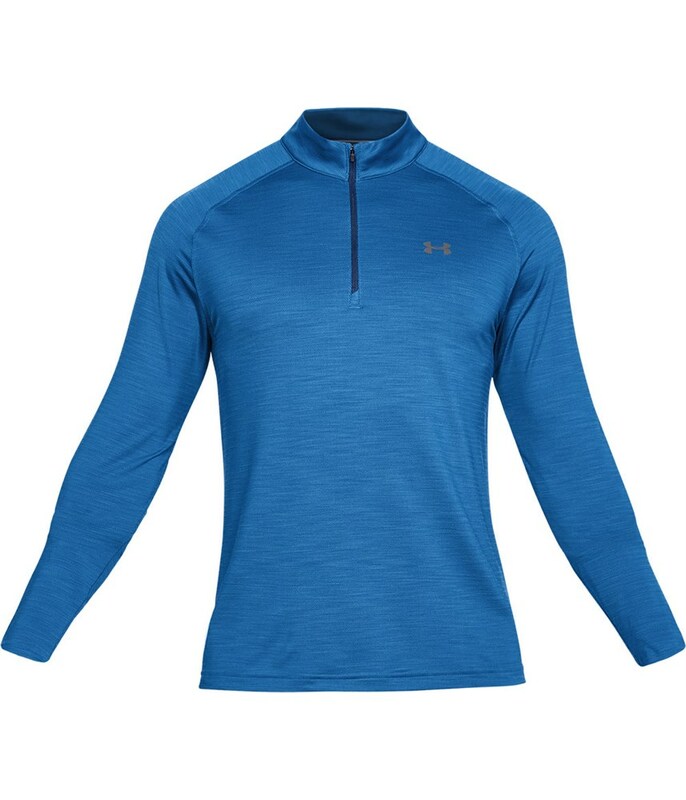 Used a either a mid-layer garment or over top this Under Armour quarter zip top is not only ideal for golf but for everyday use.